Home/SEO/Best qualities that make a good content marketer – Are you striving to be one? 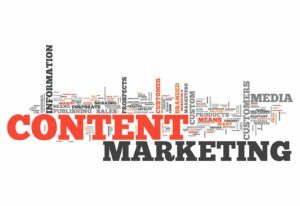 The multifarious benefits of content marketing doesn’t need to be documented again as we all have a clear idea of it. As per reports and statistics from the Content Marketing Institute, 90% of the B2B marketers currently embrace content marketing techniques and it is also being seen that leaders who have been practicing content marketing have experienced 8 times more traffic than the other non-leaders. It is being clearly seen that investments done in the field of content marketing are paying off and those who put in maximum effort are gradually earning the biggest results. Amidst all this hype, something that is entirely forgotten is content marketing itself. What does it take to make a great content marketer? What are the main qualities that you should have in yourself? Read on to know about some such qualities that makes a worthy content marketer. When there is no such person-to-person communications, it is through good content which allows the brands to build good relationships with the customers. This clearly means that content should not only be familiar but also positive at the same time. It should inspire the same sense of relationship when you talk to a friend. Same is the fact with the design as the design of the content should ease off the productive user experiences. You have to produce content which consumers deem as valuable and which demand a clean and deep understanding. One of the biggest duties of a content marketer is to try something new or even some scary things at times. That might include interacting on some new channel or proposing a risky idea for marketing campaign and content marketers should be willing to take risks which engage the consumers. If handled in a proper way, risks can be paid off in the best way and at the same time it can burn and crash if not executed properly. With the help of Artificial Intelligence solutions and analytics software, major parts of the risk of marketers are reduced. Within the next few years, creativity will gradually become the most vital quality for leadership. When the content marketer has got an inventive mindset, this takes the company and its brand image away from the trends of the industry. It is entirely through creativity that the brands and the companies can earn the initial interest of the consumers. It is vital and necessary for the marketers to seek enjoyment in the process of designing, building and writing of content as it is only through their personal enthusiasm that would make the page famous. Creating a webpage just for the sake of it won’t solve any real issues; rather the creativity of the designer will be tested in order to make it more compelling and thoughtful. If you have to be a really successful content marketer, you have to be knowledgeable enough in the niche industry in which you’ll be working and the best practices of that industry. You should also have the inborn desire to learn more. If only you could keep up with constant learning, this would keep the marketers updated with the new solutions and strategies. This way content marketer could strive hard to boost the experience of the users. Therefore, if you’re wondering about the ways in which you can become a successful content marketer, make sure you have the above listed qualities in you so that you could create a niche for yourself in the competitive market.